Designed with innovative features to increase productivity by 50% . 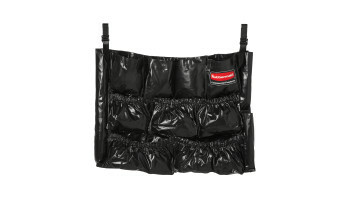 The Rubbermaid Commercial BRUTE® Self-Draining Lids feature self-draining channels that prevent water from pooling. 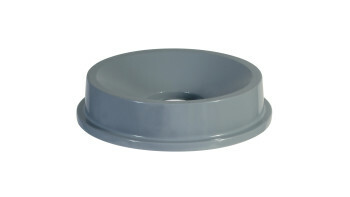 The Rubbermaid Commercial Funnel Top Lid for 32 Gallon BRUTE® containers is designed for touchless waste disposal. 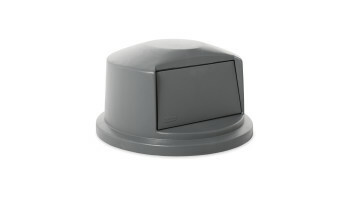 The Rubbermaid Commercial Vented BRUTE® Dome Top Lid is built tough with a snap-lock design for a perfect fit. 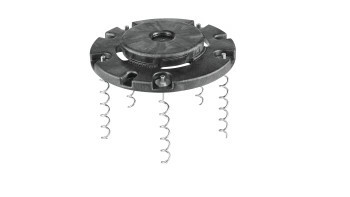 A spring door makes trash disposal easy and prevents insects from entering the receptacle. 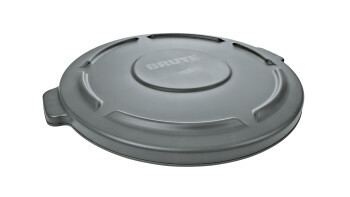 The Rubbermaid Commercial Recycling Lids for BRUTE® containers feature all-plastic, commercial-grade construction that won't rust, chip, or peel. 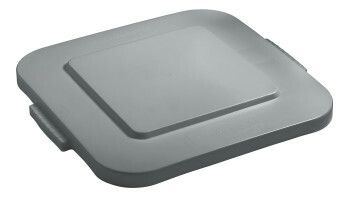 The Rubbermaid Commercial BRUTE® recycling lids are designed to make recycling easier with consistent color-coding, lid openings and waste stream options. 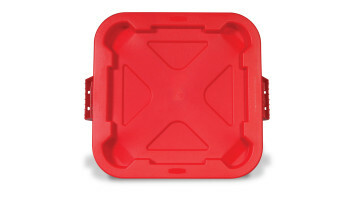 Rubbermaid Commercial BRUTE® square container lids reduce pooling when containers are stored outside. 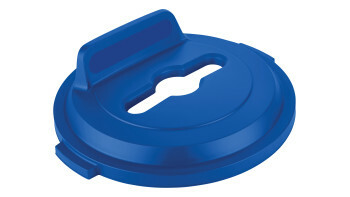 The heavy-duty, durable trash can lids snap on for secure, stable stacking. Increased capacity for storage or refuse collection. 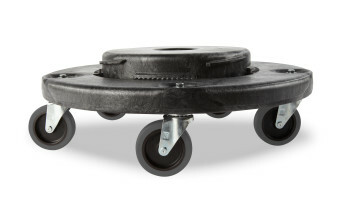 Rubbermaid Commercial BRUTE® Dolly smoothly and efficiently transports 20, 32, 44, and 55-gallon BRUTE® containers easily and quickly. 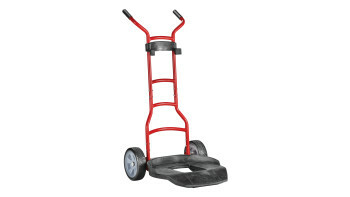 The Rubbermaid Commercial BRUTE® Dolly provides easy mobility and maneuverability when collecting and transporting heavy loads. Two twist locks hold containers securely and unlock easily for unloading, allowing easy transport of two loaded 20, 32, and 44-gallon BRUTE® containers for increased productivity. 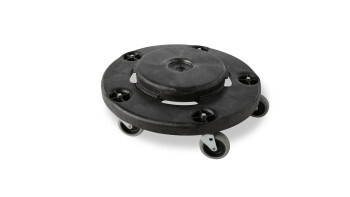 The Rubbermaid Commercial Square BRUTE® Dolly is designed for use with 3526 and 3536 containers. 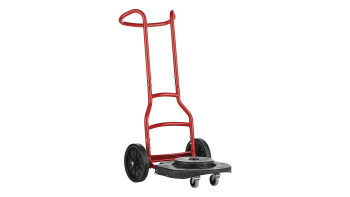 The Rubbermaid Commercial Universal Drum Dolly Cart quickly and easily transports waste containers up to 500 lbs. throughout your facility. 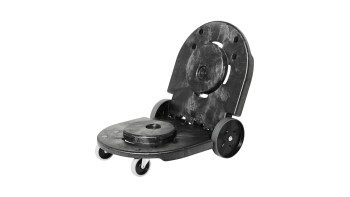 The BRUTE® Construction and Landscape Dolly is built to easily maneuver over rough terrain for superior handling of heavy loads. 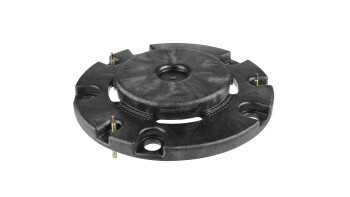 Ergonomically designed features ensure worker safety in the toughest conditions. 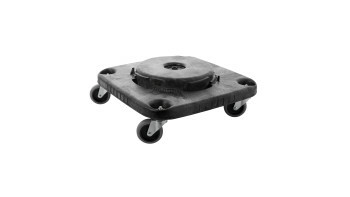 Built to handle rough and uneven surfaces, the BRUTE® Multi-Surface Dolly is designed to help make moving waste easier than ever. Ergonomically designed features help prevent injuries and support worker safety while on the job. 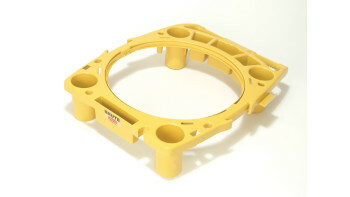 The BRUTE® Anchor secures BRUTE containers to concrete surfaces for a lifetime of use. The structural foam base fits any 20, 32, 44, and 55-gallon BRUTE container and is guaranteed to never fade, rust, chip, dent or peel. 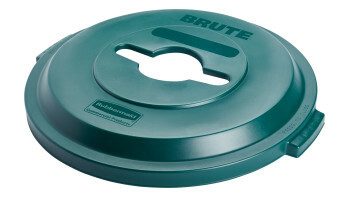 The BRUTE® Anchor secures BRUTE containers to dirt, sand, and grass surfaces for a lifetime of use. The structural foam base fits any 20, 32, 44, and 55-gallon BRUTE container and is guaranteed to never fade, rust, chip, dent or peel. 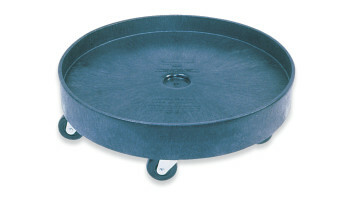 The Rubbermaid Commercial BRUTE® Rim Caddy snaps securely onto the rim of 44 Gallon BRUTE® Containers.